The findings are part of an ongoing Strategic Environmental Assessment (SEA) by ICEM, funded by the Asian Development Bank (ADB) and the French Development Agency Agence Française de Développement (AFD) which has focused on ways to ensure sustainable regional power development*. A GMS Database has been developed, tracking the regional power plans, considering power plant location, capacity and outputs per year until 2025**. This database provides a comprehensive overview of national and regional power plans. The consolidated data provides a baseline for modeling future scenarios to inform and support integrated GMS country power planning processes. As a critical part of the SEA ICEM has been facilitating regional and national consultation since 2012 with government energy and environment ministries and departments from the six GMS countries (Cambodia, China, Lao PDR, Myanmar, Thailand and Vietnam), civil society, donors, NGOs and other sectors, interest groups and stakeholders. The 3rd and final Regional Consultation Workshop for the project took place in June 2013 in Kunming, People’s Republic of China (PRC), following previous regional workshops in Siem Reap, Cambodia in February, 2013, and Hanoi in July 2012, as well as national consultations from August to October 2012. The SEA has involved comprehensive research into existing and projected power plans, environmental impacts and social concerns. A range of renewable power options, including wind and solar power, small scale hydropower, biomass and geothermal were considered according to their environmental, social and economic benefits and challenges. This consultation process and science evidence-based analysis is leading to some important recommendations to reform the power planning and development sector. These include greater emphasis on renewables and energy efficiency which may prove more economically viable and sustainable and monetization of costs and benefits such as pollution, natural system degradation and resettlement caused by power development to adequately assess the real cost of power plans. The full results and recommendations from the SEA are expected to be published by the end of the year. With the scale of investment in power plants and transmission lines, ICEM experts are recommending that environmental and social impacts should warrant greater consideration. The consultation process raised broad consensus that greater renewables or energy efficiency could realistically be included in future power development plans. 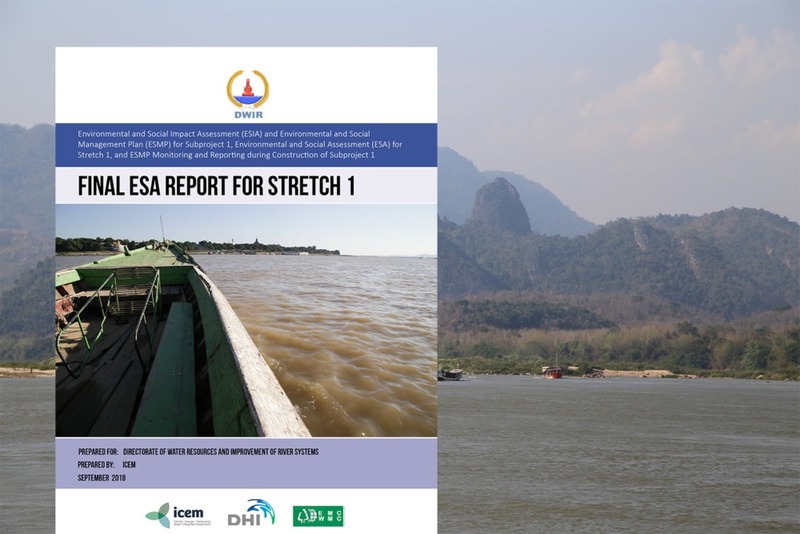 *The SEA is part of the ADB project Ensuring Sustainability of the Greater Mekong Subregion Regional Power Development – 2012-2013 in Cambodia, China, Lao PDR, Myanmar, Thailand, Vietnam. The role of the SEA is to propose ways of improving the ecological sustainability of the plan with social equity and economic efficiency, taking into account the many competing sectoral, social and environmental demands and implications for the GMS. The SEA will guide future energy policy options and the mixes of energy technologies that best meet demand with the minimum of unplanned and unwanted side effects. **The GMS Database has been developed by ICEM with support from ADB – utilizing the Optimal Generation (OPTGEN) model. The database includes the power plants planned and existent until 2025. It was developed through a GMS-country consultative process and simulation modeling.